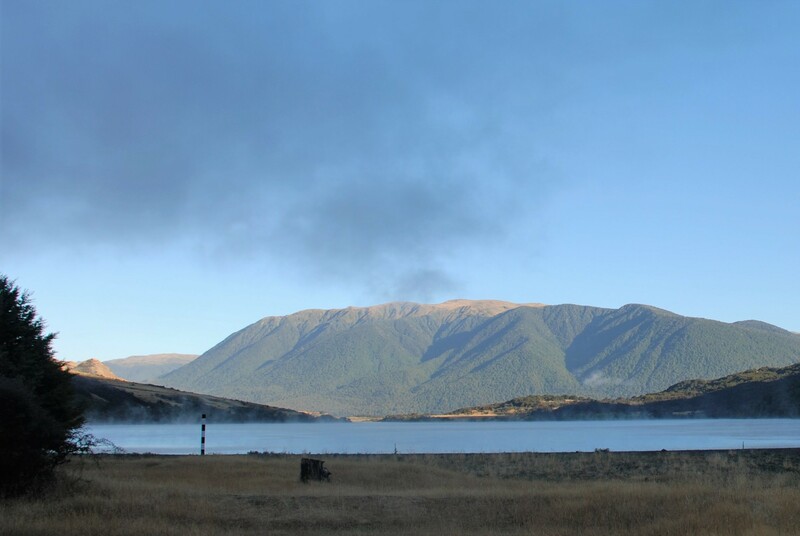 We were on our way to Lake Sumner and planning to stay at Lake Taylor for the night. 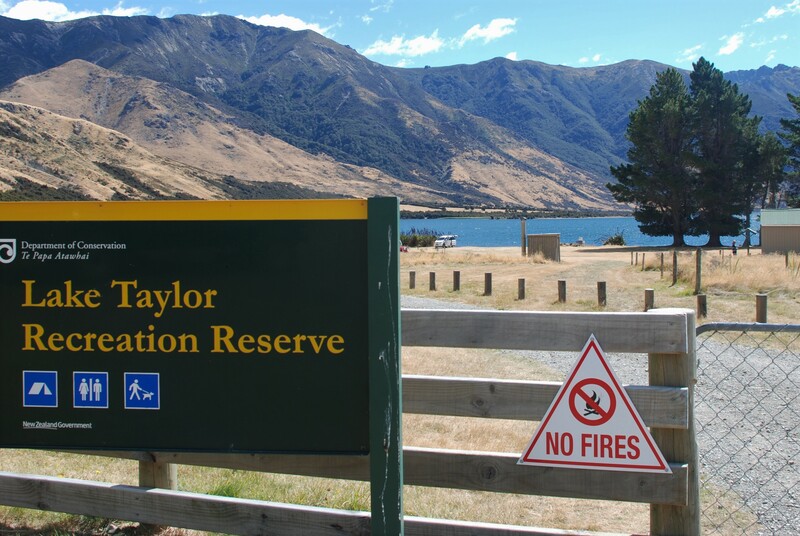 Lake Taylor Doc camp is a nice spot but we decided to carry on to Loch Katrine along the approx eight km strictly 4 wheel drive road – don’t try this if you don’t have a four-wheel drive. 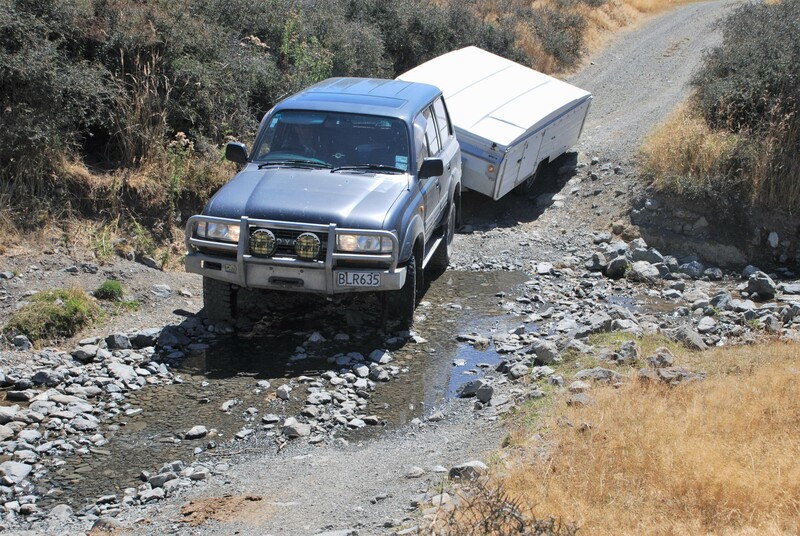 We had our pop top caravan with us that we had lifted, added bigger wheels and had self-contained. 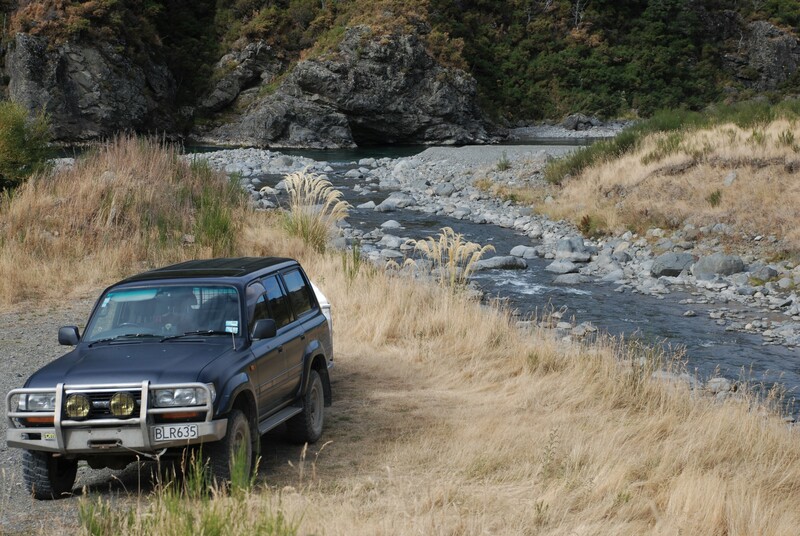 The little pop top got up the rough road really well, the 8 km took about 45 minutes but well worth the trip. 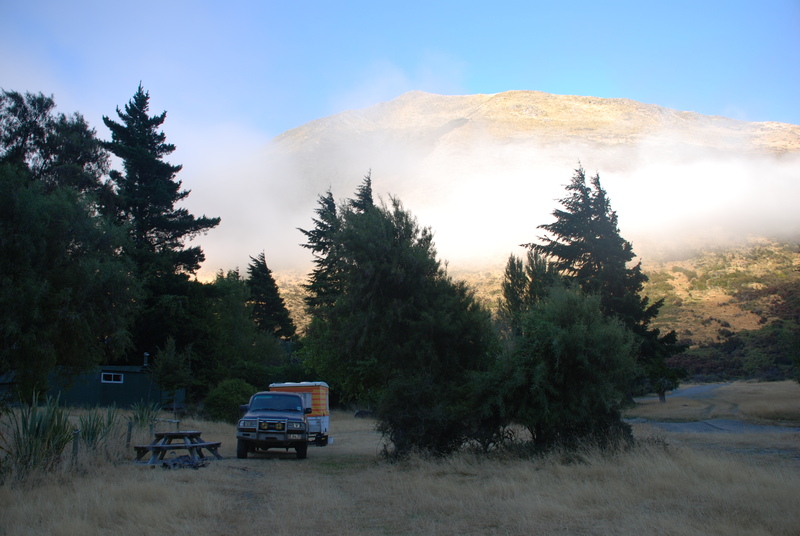 Loch Katrine has a small DOC camping area on the southeast lake edge. DOC category is basic (free). 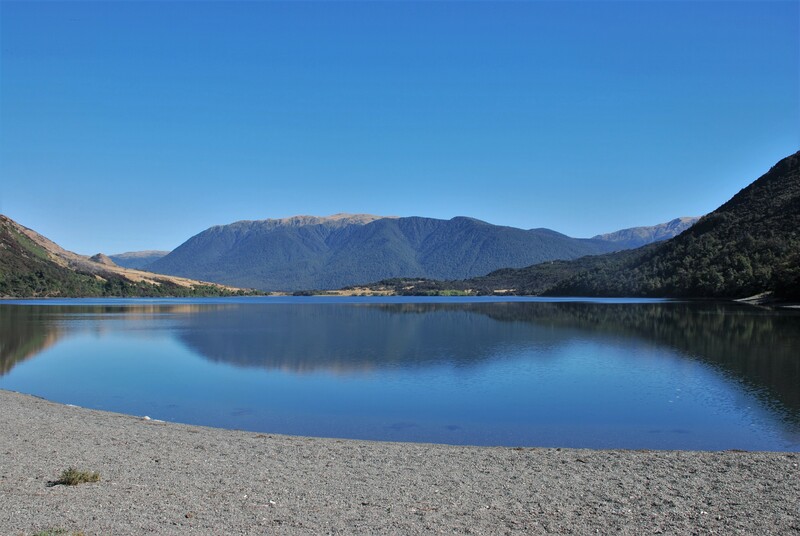 Basic toilet facilities and water, there is no rubbish collection so please take ALL rubbish with you when you go. There are sand flies!! so if you are anything like me and get eaten alive, take plenty of insect repellent. There are a number of cribs/batches located at the southeast corner, these are mainly caravans with various add on bits and mostly painted dark green. These are used throughout summer, especially by people with boats using Loch Katrine as a departure point to access Lake Sumner through the inlet channel (see part 2). 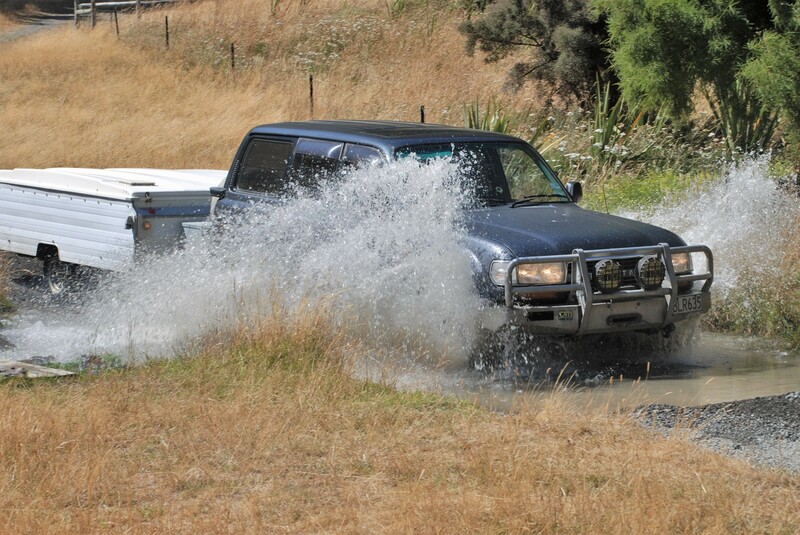 Our truck looks quite clean in this photo! 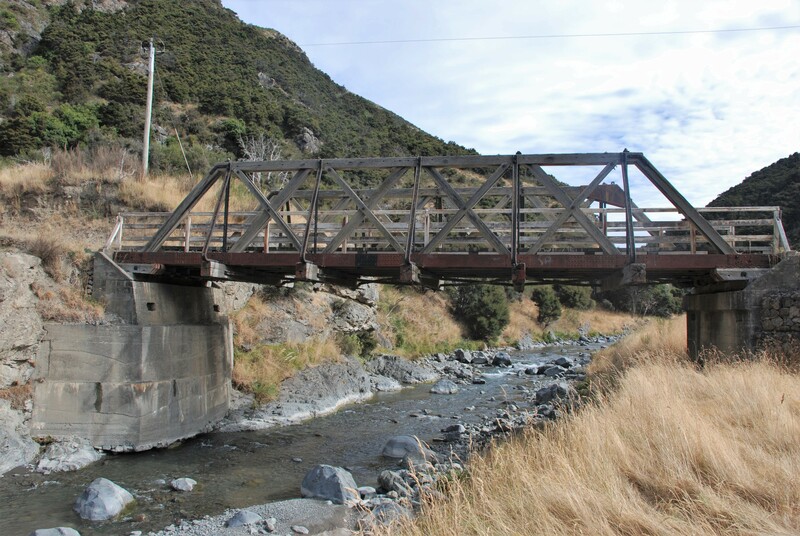 The Hurunui River – Seaward Gully. 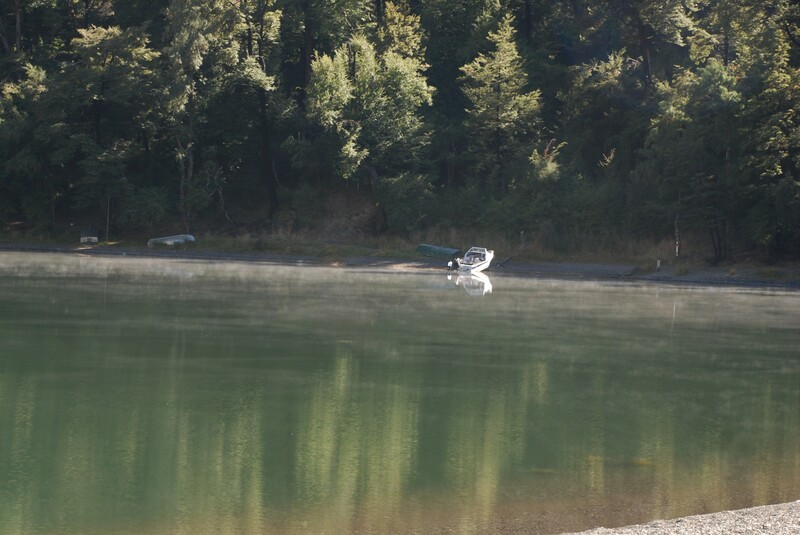 Chinook Salmon, Brown trout and rainbow trout can be caught here. 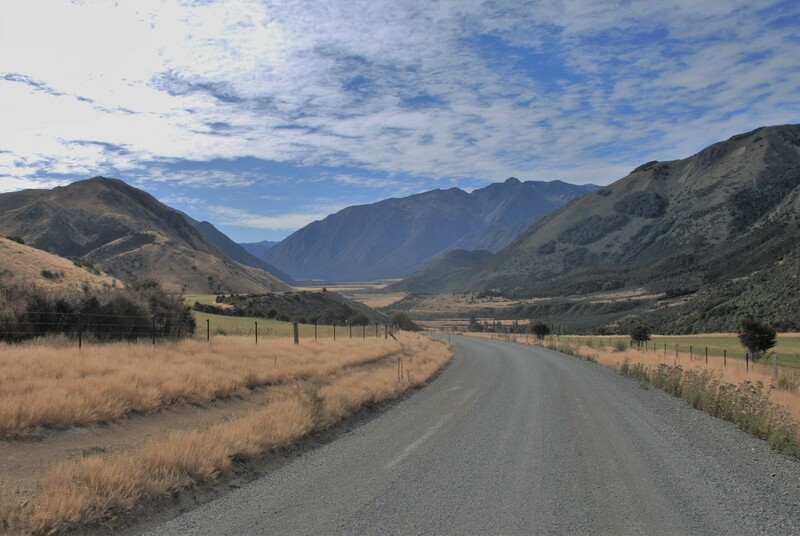 Traveling along Lake Sumner Road, once you pass Lake Taylor the gravel road deteriorates and becomes a track suitable for 4X4 vehicles only. This continues for approximately 8km until you reach Loch Katrine. 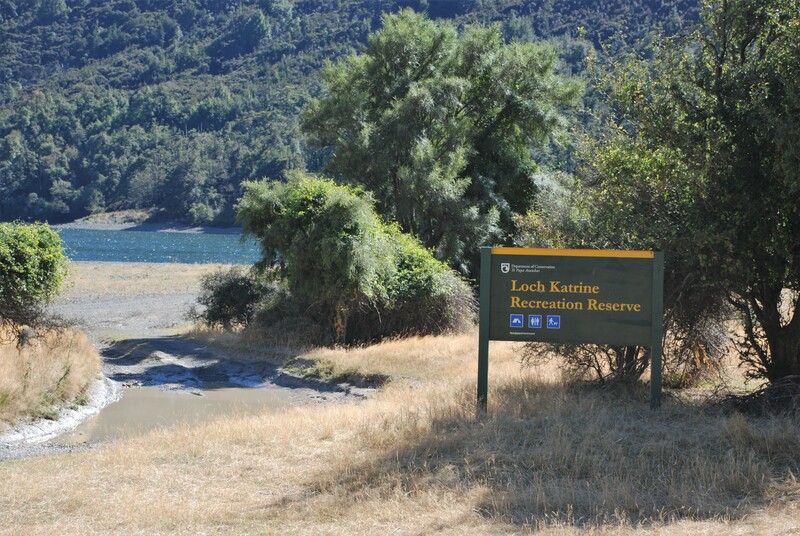 Loch Katrine is located in Lake Sumner Forest Park and is reached by following Lake Sumner Road. It’s a connecting body of water through a northwest channel to Lake Sumner. A misty start to the day but it soon cleared to brilliant sunshine. If you look carefully you will see small cribs, mostly caravan with additions and painted dark green. 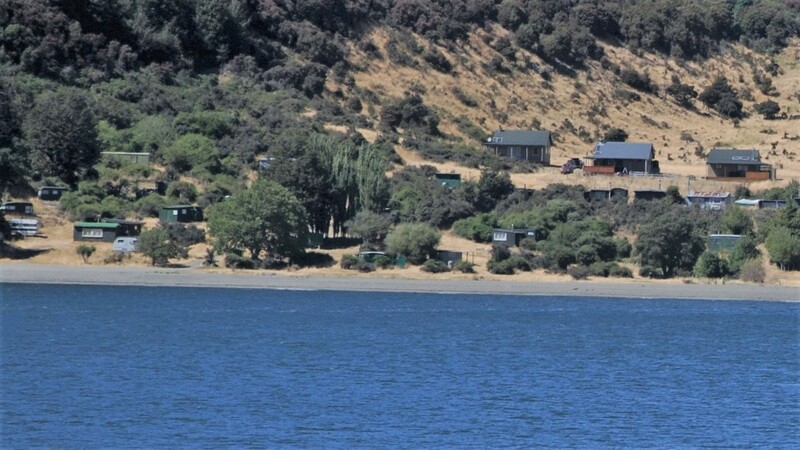 The three cabins above are Department of conservation huts. The little pop to caravan was great. 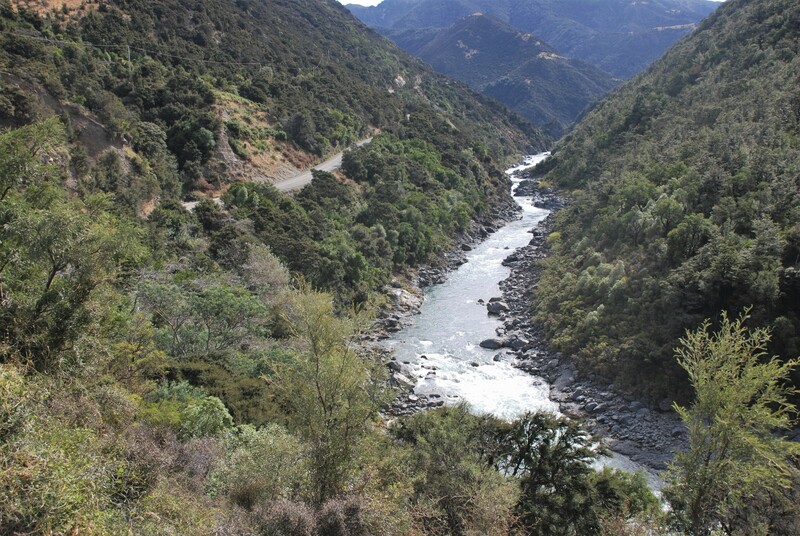 Turn off SH7 at Waikari and follow the road to Hawardon (approx. 8.5 km). The road then joins Lake Sumner Rd, which leads to Lake Taylor (approx. 50 km). Continue for another 8 km to Loch Katrine. ← Nugget point – on a dull day – still beautiful!!! !